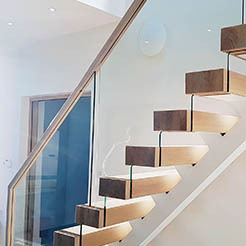 Create the floating staircase effect with a stunning central spine as the only support needed. 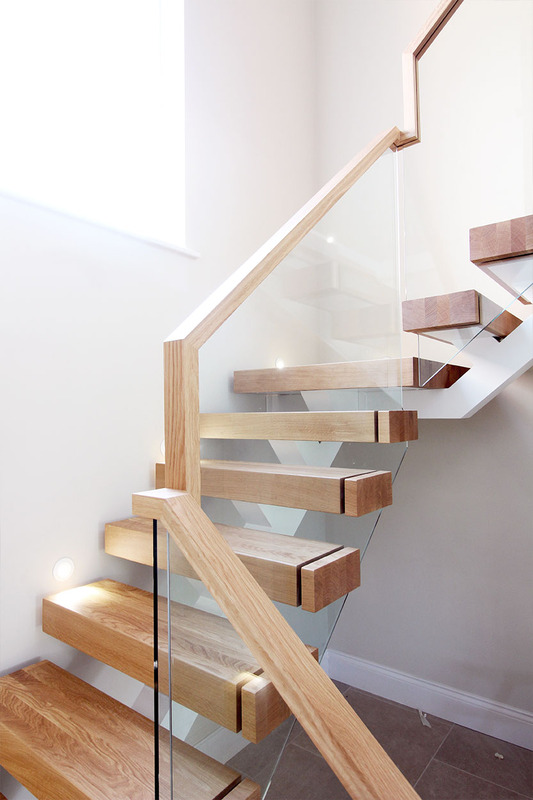 With thick solid timber treads, this design will become the most luxurious piece of furniture in your home. 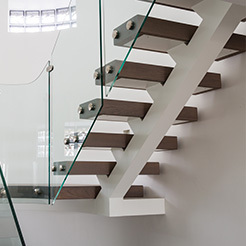 Our Spine staircase is our most popular design. 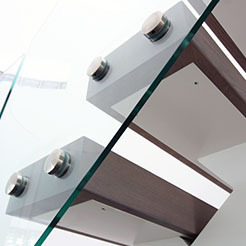 Its central spine prevents the need for any other structural supports, creating a true floating effect. 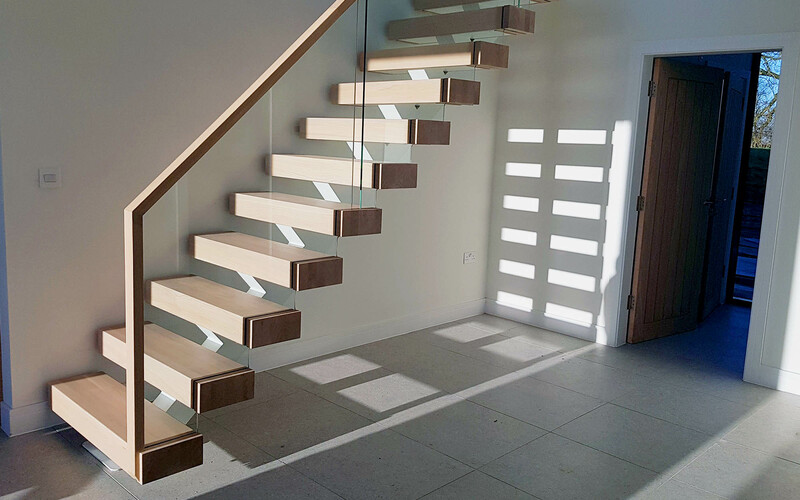 The bespoke steel construction is laser cut and fabricated to perfection, before being powder coated to any colour of your choice. 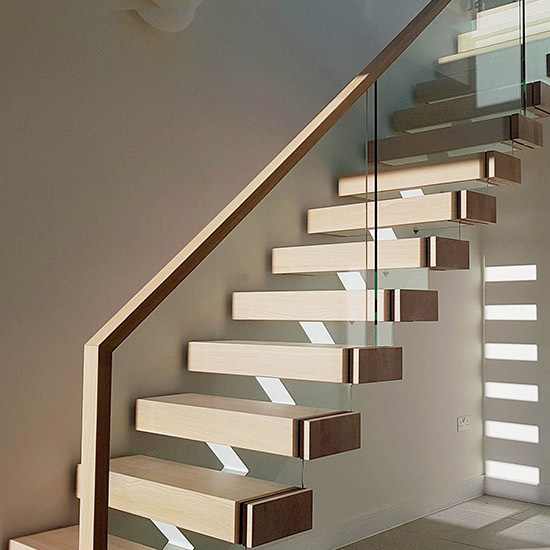 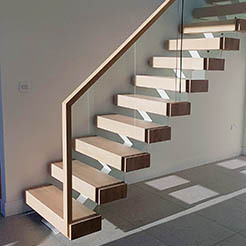 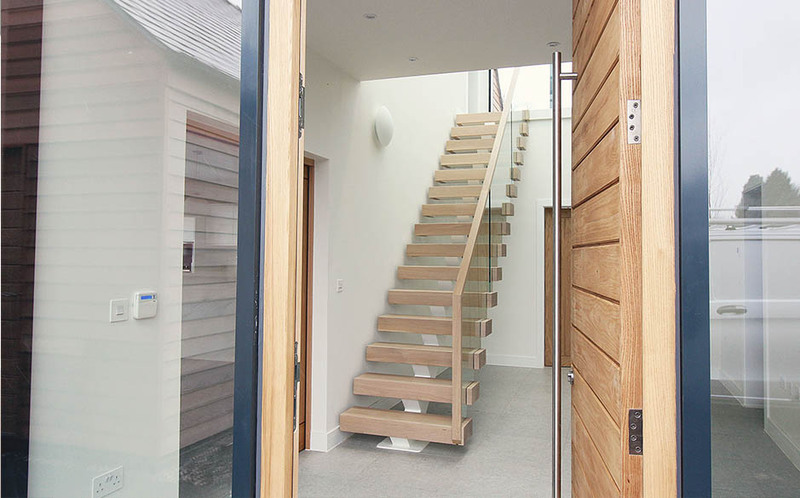 Customise this design to truly make it yours with a selection of solid timber treads, glass fixings and handrails. 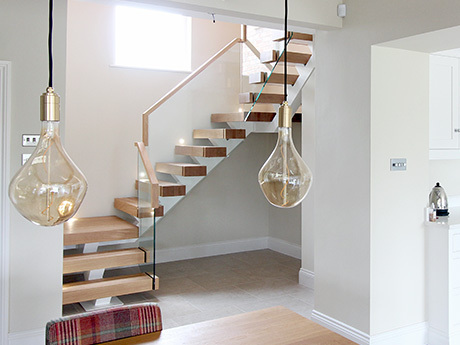 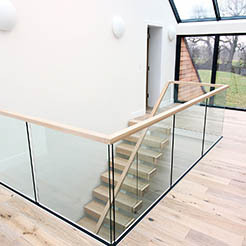 Add frameless glass balustrades for that in-line, sleek finish – simply choose from contemporary steel adaptors or a complete embedded option. 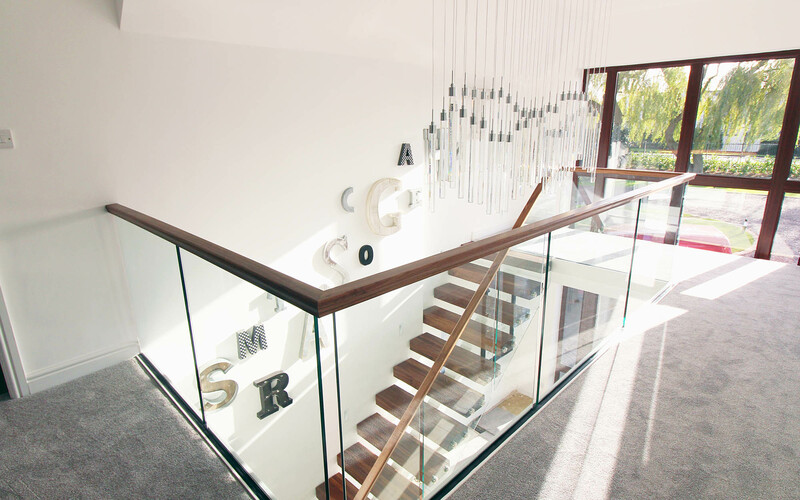 “Some people do not like to see structures, I could not disagree more and that is why the Spine staircase is my favourite design. 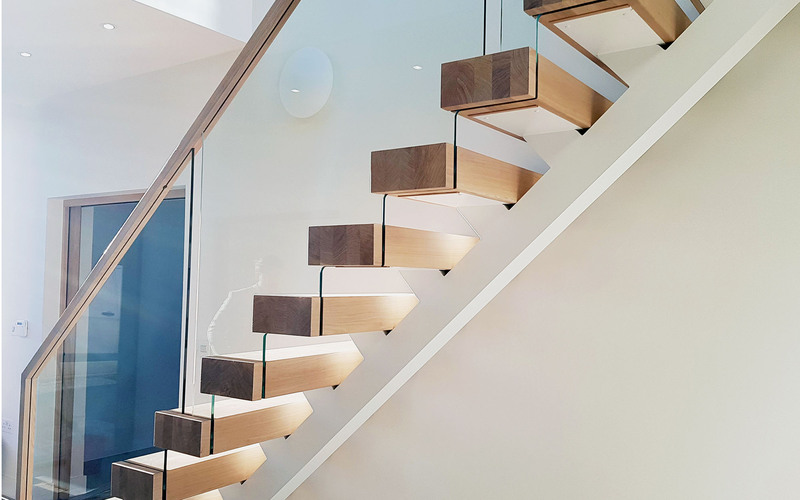 The structure is so flawless in its fabrication that no welds are seen, but instead you have a fluid steel structure that should be embraced and not hidden. 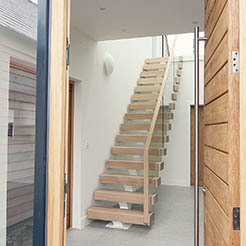 Mr and Mrs Coates’ new build was a timber frame house project that was erected in just five days by a team from Germany. 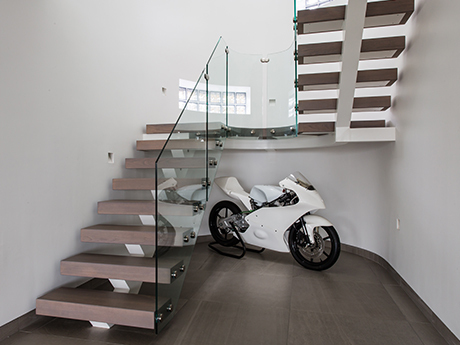 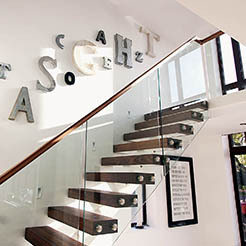 This left no time to waste in designing the perfect staircase. 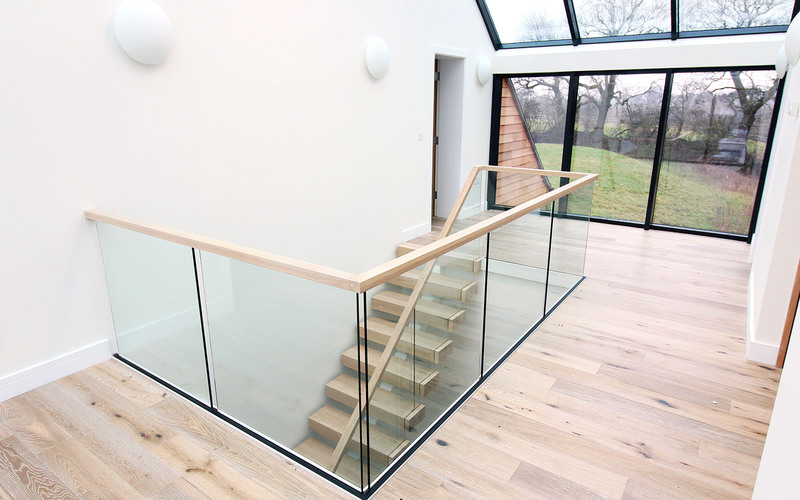 Throughout the property was large glazed sections, ensuring light was at a premium in every single space of the property. 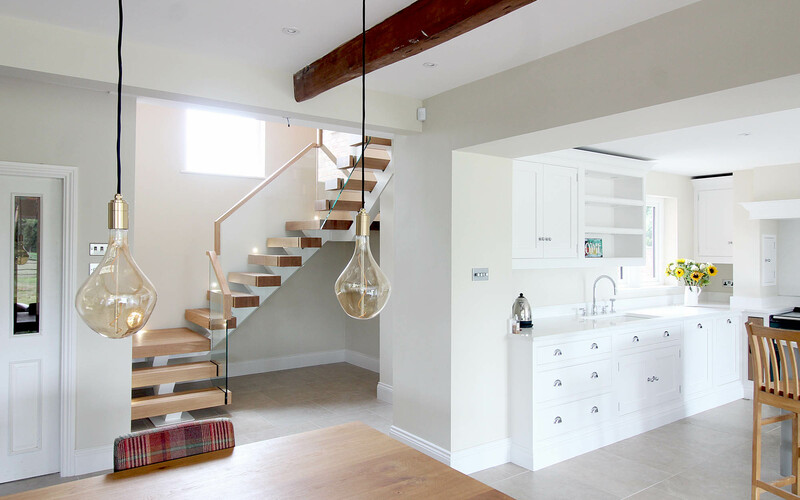 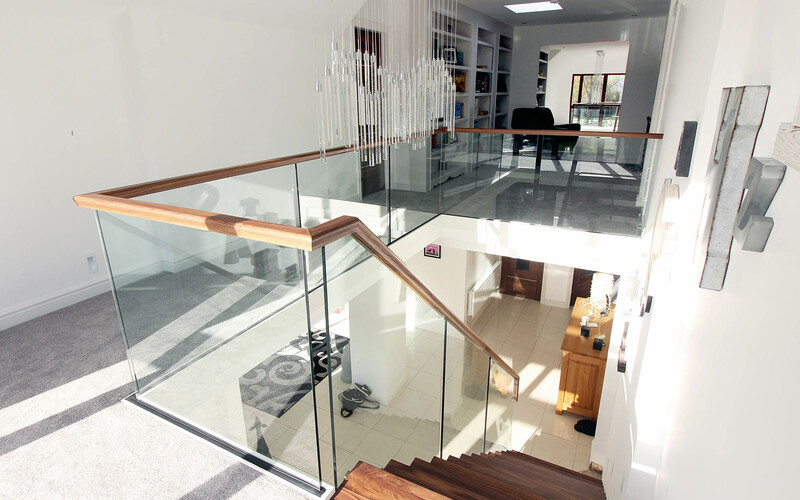 Due to this it was clear that an Open plan staircase featuring a glass balustrade must be used, to compliment this concept. 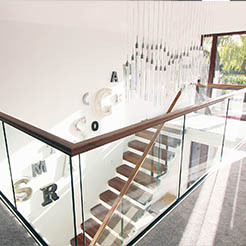 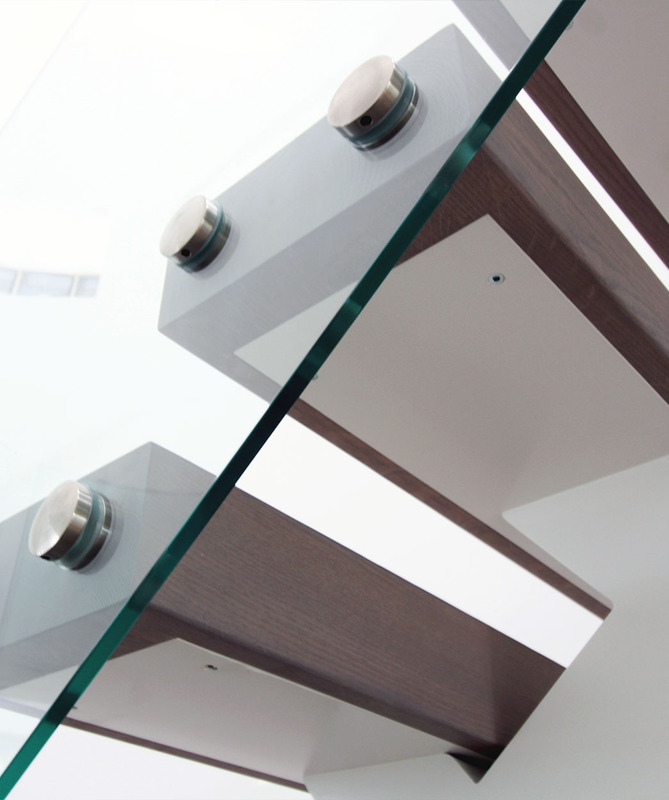 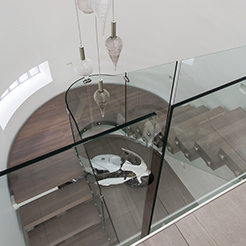 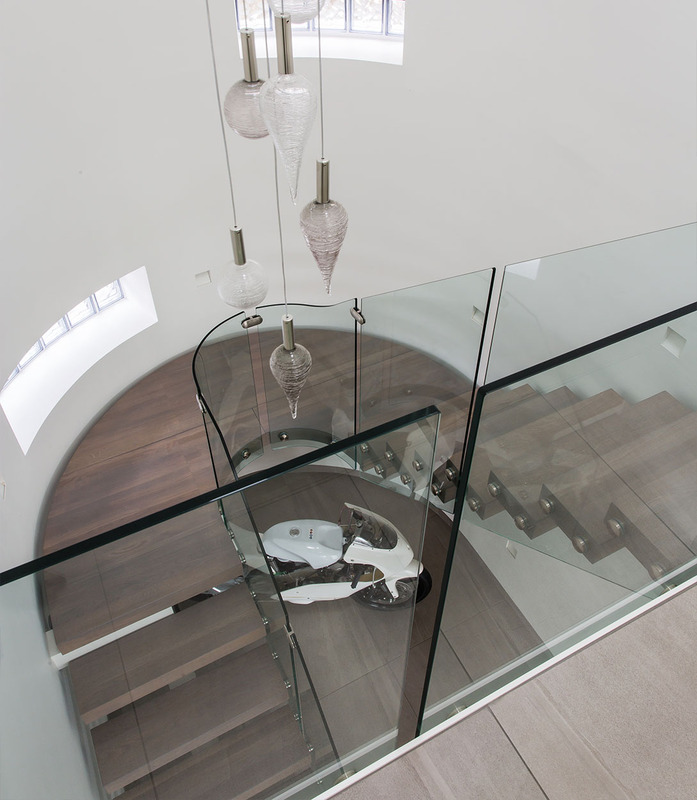 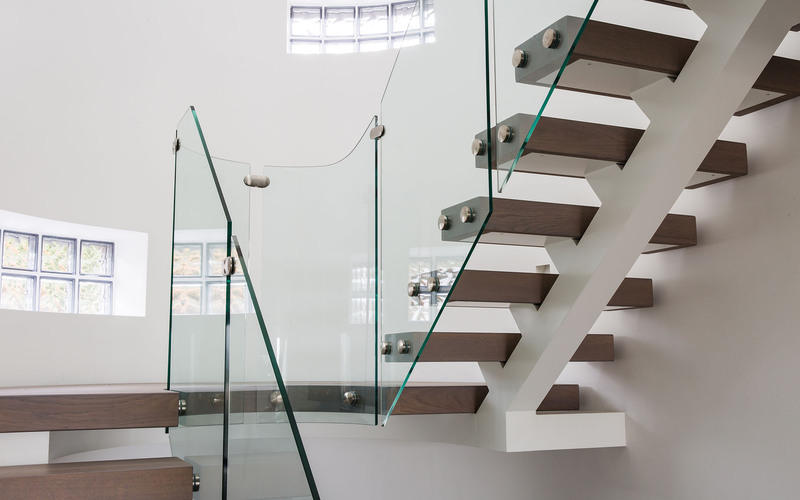 Almost 80% of our projects consist of glass balustrades. 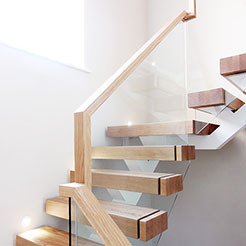 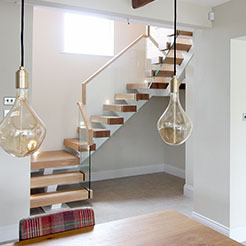 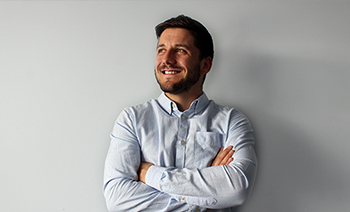 The styles vary considerably however, not just in size but also colours, fixing methods and handrail features. 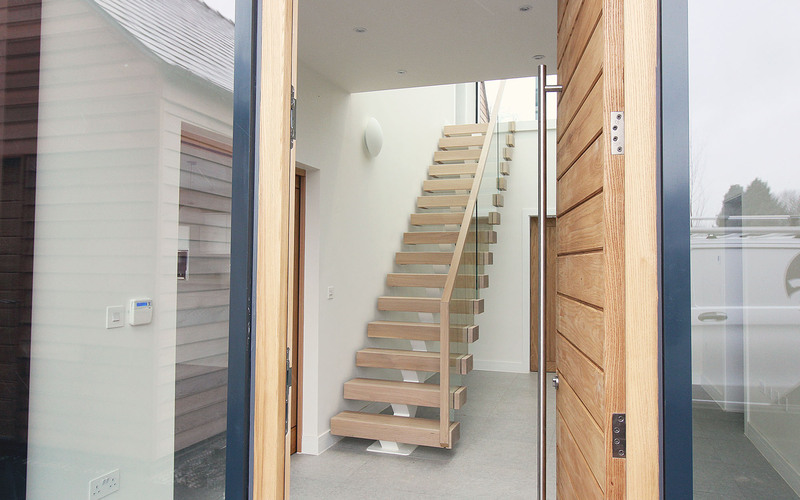 Throughout the property all features were minimal, nothing too bold or intrusive. 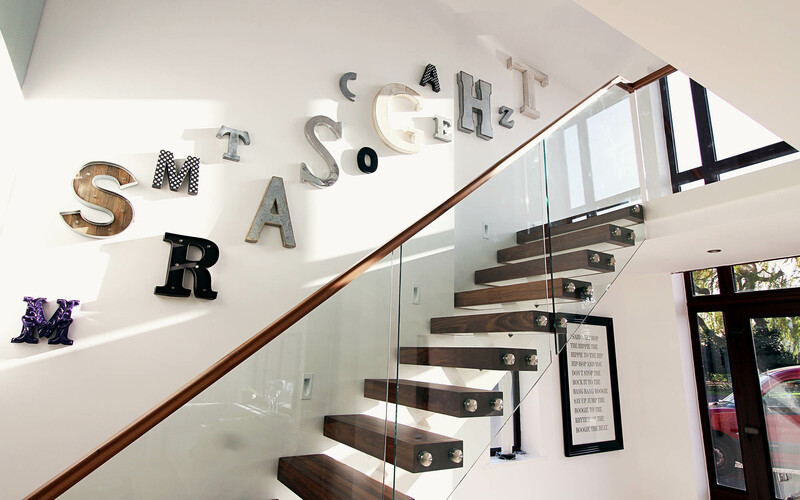 just subtle details to catch the eye. 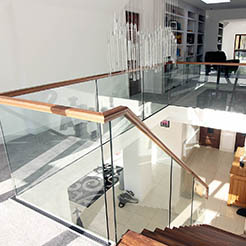 Following our meeting with the interior designer, we gained a full understanding of the project. 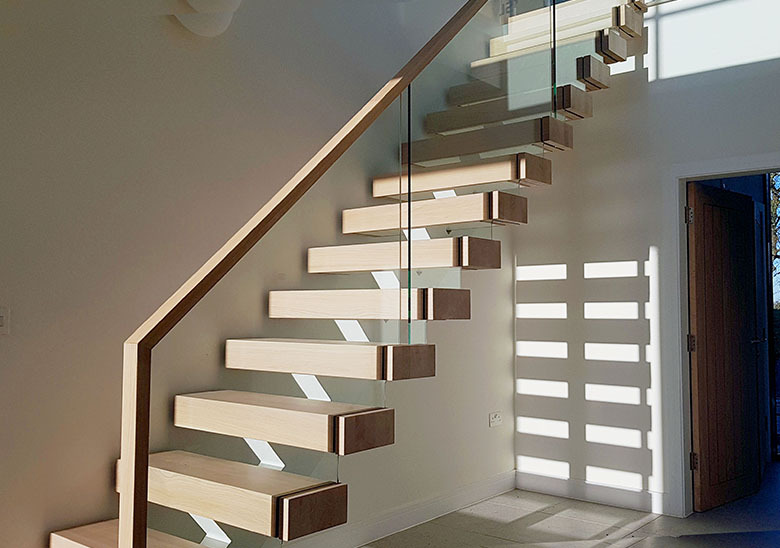 We designed the most minimal spine staircase possible!